Restore, lengthen, and volumize your hair with Micro Point Links or Accents — a healthy alternative to traditional hair extensions. Micro Point Link featuring Cyberhair fills in where other professional hair extensions can’t. Created for areas that are more visible, in this unique process the certified trained professional knots, without use of adhesives, four Cyberhair hairs onto one single strand of growing hair. The knot is so micro-tiny, the added hair looks, feels, and behaves just like the existing growing hair — if not better. With Micro Point Link, you can have up to 600 additional strands of hair added to your own growing hair…in just one hour. You can have thousands of additional strands of hair added quickly, easily restoring your confidence and your hair. Micro Point Accents are the healthiest hair volumizer in the industry today. You can use Accents to volumize and create more density for short or medium length fine, thin hair, or if you are a candidate with long hair, receive Micro Point Accents to lengthen and volumize your fine, thin hair. Micro Point Accents featuring Cyberhair are the healthy alternative to standard hair extensions because they are attached with a micro-sized bead of 100 hairs. No glues, heat, bonds, or chemicals. The bead is simply and safely attached to a few strands of existing hair by a trained professional. Removal is easy and non-damaging. No harsh solvents are needed. A Micro Point Accent certified trained professional can give you Micro Point Accents on the sides and back of your hair in one hour — giving you hair to add body and volume to your own growing hair instantly. Micro Point Solutions is the only professional hair extension on the market using Cyberhair — the most lightweight hair available that loves water! It is a created hair that looks and feels like human hair, wet or dry. Cyberhair is feather light, many times stronger than natural growing hair, and has moisture content and style memory, allowing you freedom to be as active as you’ve always been. Think about having thousands of new strands of hair to comb, brush, and style. If you are looking for a healthy alternative to traditional hair extensions, Micro Point Links are the answer. 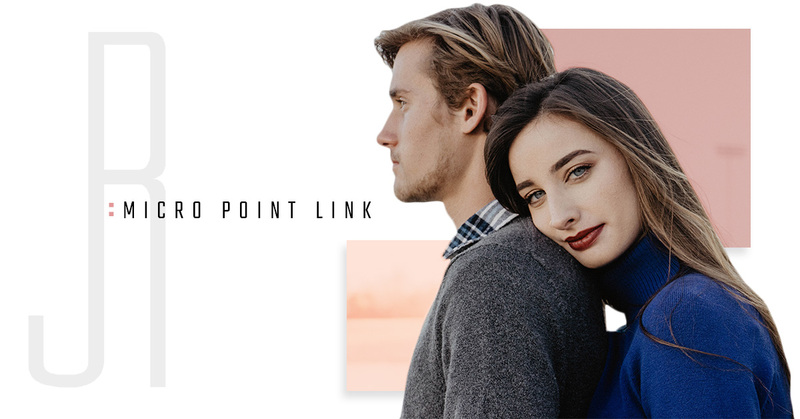 Contact us today or book your Micro Point Link appointment today. We are excited to give you the thick, voluminous hair you’ve always dreamed of.